European Commission published the results of the 2018 Digital Economy and Society Index (DESI), a tool which monitors the performance of Member States in digital connectivity, digital skills online activity, the digitisation of businesses and digital public services. 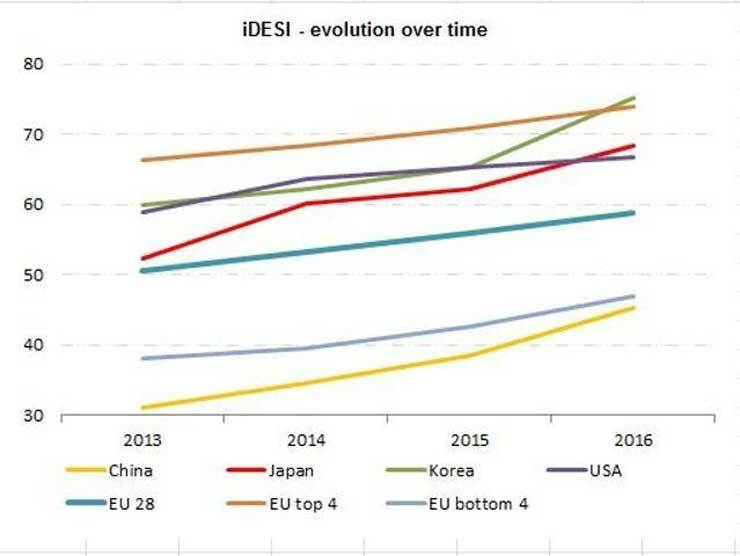 According to it, the EU is getting more digital, but progress remains insufficient for Europe to catch up with global leaders and to reduce differences across Member States. This calls for a quick completion of the Digital Single Market and increased investments in digital economy and society. Recognition, or the lack of it, is a central concern in International Relations. However, how states cope with international misrecognition has so far not been thoroughly explored in International Relations scholarship. To address this, the article presents a theoretical framework for understanding international misrecognition by drawing on discursive and psychoanalytical theories of collective identity formation and humour studies. The article conceptualises international misrecognition as a gap between the dominant narr..